KingKonree has professional production workshops and great production technology. Solid Surface Sheets we produce, in line with the national quality inspection standards, has reasonable structure, stable performance, good safety, and high reliability. It is also available in a wide range of types and specifications. 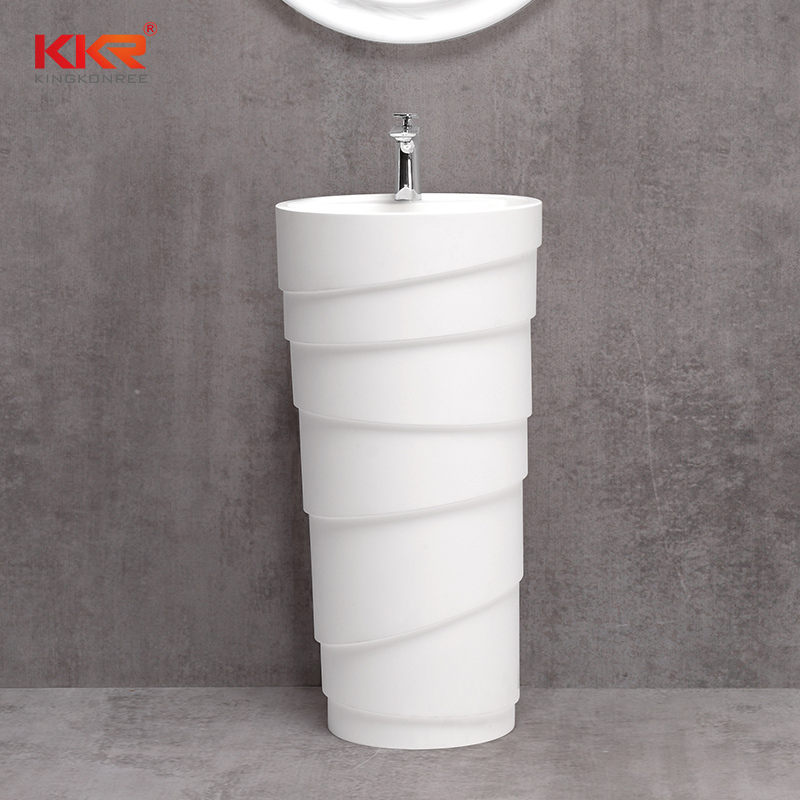 Customers' diverse needs can be fully fulfilled.With a focus on high standards and strict requirements, KingKonree uses authentic materials to design and produce Solid Surface Basin. We guarantee the quality by strictly controlling the mixed application of inferior materials in the production. They feature good design, long service life, corrosion resistance, as well as easy cleaning and installation. They are unanimously recognized by the market and have a high repurchase rate.Compared with other products in the industry, Solid Surface Sheets has more obvious advantages which are reflected in the following aspects. KingKonree's Solid Surface Sheets is widely applicable in the Manufacturing Decoration Materials industry.KingKonree is dedicated to solving your problems and providing you with one-stop and comprehensive solutions.KingKonree learns from domestic and foreign advanced management concepts and production techniques. We run a strict and perfect procurement chain and select solid and durable materials to produce Solid Surface Basin. Compared with similar products, they are stronger in hardness, higher in toughness, and longer in service life. They are affordable, attracting many buyers. 1. KKR artificial stone is easy to install. Made from high quality bathroom free standing basins, these accessories can be used to decorate freestanding pedestal basin. 4. KKR artificial stone is fashionable and premium-marketed. KingKonree holds the tenet of 'customer is god', communicates with customers and serves customers! 1. KingKonree International China Surface Industrial Co.,Ltd is the No. one brand of freestanding basin line. 2. To win the leading position, the quality of free standing wash basin ranks top in the market. 3. 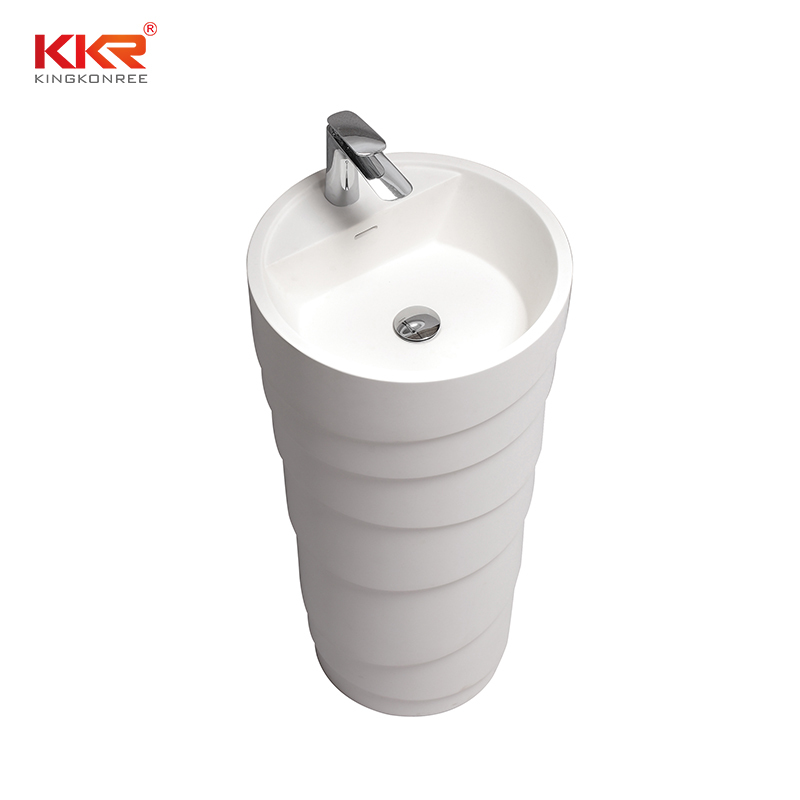 KKR Sanitary Ware will develop horizontally to meet the needs of foreign trade market. Inquire now!